On November 18th, I did what I never thought I could when I completed my first marathon, the Myles Standish Marathon in Plymouth, MA. The race was a quick replacement to the NYC Marathon that was cancelled 2 weeks earlier due to the effects of Hurricane Sandy. The race was an amazing experience and my race report can be found here. 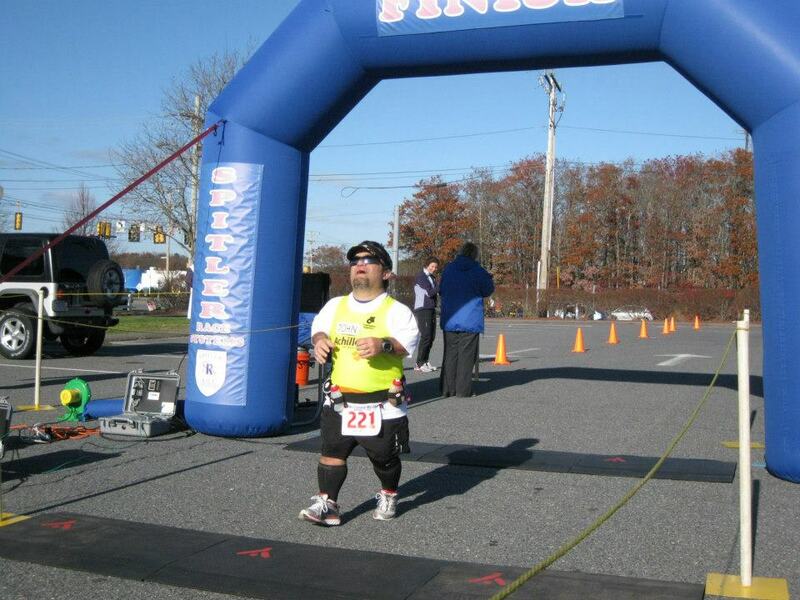 Based on this race, I managed to qualify for the Boston Marathon as an AWAD runner. 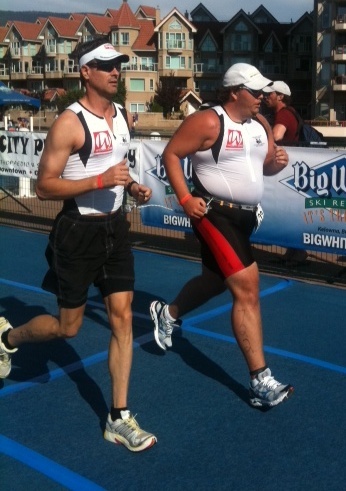 Dave Carragher and his guide, Carl Burgess completing the Sprint triathlon for Silver at the Paratriathlon Nationals in Kelowna, BC. As I rode my bike down the street, or went for a run or a swim as a sighted person, no one thought anything about it. I was just seen as an active kid. As a sighted athlete, I was just another guy on the team; not a superstar by any means. I know everyone has their place, but like many other athletes, I also realized in able-bodied sports the childhood dreams of making the pros was definitely not a realistic goal for me as my sight began to fade.